Thirty-three products were selected by international journalists from among more than 300 new products declared by exhibitors. This official selection was then discussed at length by the Pack Experts Committee. Indeed, ALL4PACK Paris 2018 plays host to packaging which is both digitalised and sustainable. Sustainable, because one merely needs to point to new materials made from natural resources such as food industry byproducts, biodegradable materials offering technical performances on a par with fossil fuel origin materials, or the ratio of recycled material incorporated in packaging. And digitalised, because machines and equipment for packing, packaging and intralogistics are no longer simply automated and flexible, but also intelligent, modular and interconnected. The digital transformation of packaging is underway, a consequence of today’s digital era in which computing tools rule the waves and are clear for all to see: a reality which is not just virtual. Impossible to avoid them! In 2018, new solutions have a natural bias towards alternative materials of natural origin that are renewable, biodegradable or compostable. 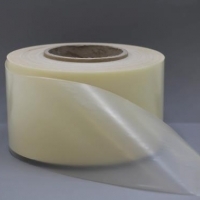 These can be applied to primary packaging, logistics packaging and consumables such as adhesives. The functionalities offered by these packaging solutions have become increasingly sophisticated in order to fight parallel and counterfeit markets, prevent microbiological contamination, bridge gaps in the cold chain in e-commerce and therefore provide greater safety. transformed by blown extrusion, injection and thermoforming. Committee opinion: We must welcome the advent of these alternative materials which have come about through many years of research. This bubble film insulation box by R3D is foldable, washable and therefore reusable. It is made with 70% of recycled material and is also recyclable. Its heat insulation properties are achieved by thousands of air bubbles and from the interior and exterior metallised PET which reflects energy. Committee opinion: This is an interesting alternative, particularly for fish and seafood retailers, as well as for the medical and pharmaceutical field. Farewell to the changeover of tools, all hail adaptive machines with a modular design capable of dealing with different sizes and shapes of packaging. 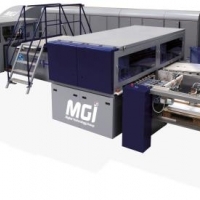 Flexibility is no longer a watchword: firms are opting for machines with independent shuttles, combining different technologies for parallel and/or post filling processing. Forget the user-friendliness of the dashboard, here comes the digital lean process. Digital, connected, embedded, controlled, collaborative, for high work rates or small runs: #adoptthepackingofthefuture. 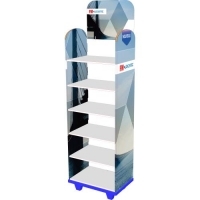 ACOPOstrak is a product transport system used inside packaging machines. 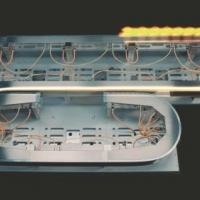 Individually controlled shuttles and specific guide rails constitute diverters driven solely by electromagnetic force to split or merge product flows products at high speed. Committee opinion: ACOPOstrak has broken down technological barriers and opened the way for mass personalisation of packaging at high speed. Featuring substrate translation based on moving chucks using a vacuum system, AlphaJET is a four-colour inkjet and electronic printing solution which can manage flexible or stiff substrates of different formats with a range of embellishment techniques such as spot UV coating or hot foiling. Committee opinion: AlphaJET is a good illustration of the underlying trend of flexibility for small production runs of highly personalised packaging. 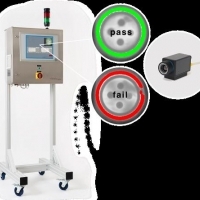 Combining thermal imagery technology with advanced algorithms in real time, this sealing monitoring process by ADMC provides 100% and non-destructive monitoring of the heat sealing process for sachets, pots, blister packs and tubes. Committee opinion: Consumers are unaware of this, that this type of innovation contributes to even greater safety of products and processes. 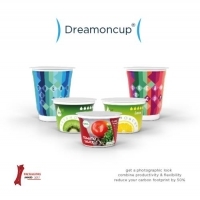 Dreamoncup is a new machine for the online and post-fill decoration of any shape of pot with a shrink-wrap sleeve. Its technology saves additional costs in logistics and intermediate storage. Committee opinion: The shrink-wrap sleeve already offered differentiation between standard shaped packaging, but today it can be applied post-filling. The vertical bag filler CC60-2 by Col de Cygne produces pillow pouches and stand-up pouches between 30 and 360 cm in length at a rate of 60 bags per minute. 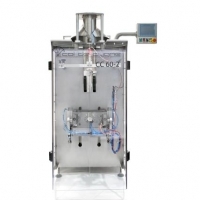 Fitted with cutting-edge mechanical functions, it is also highly reliable. Committee opinion: with its all-mechanical design without a drive belt, this bag filler has all the assets to make it an imperative machine through its simplicity and sturdiness. Software with multiple routes and with real-time folding functions available on collaborative platforms simplify the lives of packaging designers. Connected or disconnected decision-making by operators is made easier by centralising machine supervision data. IIoT or Industrial Internet of Things, relying on sensors as the basic components in supervisory control and data acquisition (Scala) and the Cloud are increasing contributors to packaging and packing. CreaPACKing is a comprehensive solution from the design of packaging, which includes prototyping and testing, through the production, deployment and filling of packs, up to the delivery and retailing of products. Committee opinion: “full service” for the entire outsourcing of filling and packaging operations. Reusable crates whose aim is to reduce their own footprint in trucks, just like foldable and lockable pallet boxes. Scanners which assess the environment of compact palletising and de-palletising cobots or mobile robots. Dynamic storage solutions with radio-driven shuttles. Handling arms and grippers which prevent MSDs. Intralogistics 4.0 is not in any shortage of smart supply solutions. 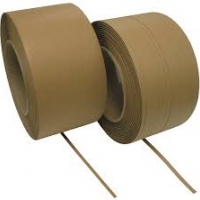 Paperstrap is the first laminated paper packaging strapping which can be used on semi-automatic strapping machines replacing polypropylene strapping. Committee opinion: This new strap is proof that innovation does not only apply to consumer facing packaging, which is a good thing for the supply chain. 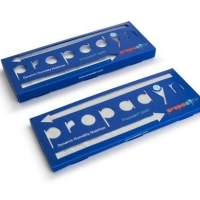 Propadyn® is a passive moisture stabiliser which is nevertheless dynamic and natural whose role is to stabilise moisture content inside airtight containers. It can absorb up to 160% of its weight and is resistant to volatile organic compounds (VOCs) which it absorbs, and it can be regenerated in a climate chamber. Committee opinion: To stabilise sensitive products which are often valuable, during their transportation at desired moisture levels. 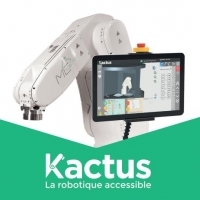 MC ROBOTICS, a start-up introducing Kactus, an entirely in Grafcet robot programming solution that runs on Windows. The clear and intuitive interface enables operators to design the program without entering a single line of code, and therefore thereby programme different brands of robots. Technology for a wide audience! 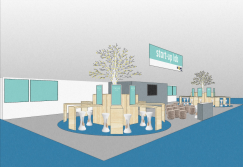 Meet MC ROBOTICS in the Startups Lab, hosting 15 other start-ups in hall 7. 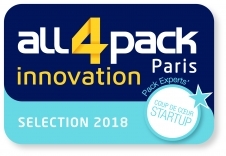 *Headed by international packaging Expert Annette FREIDINGER-LEGAY, the membership of this think tank comprises: Frédéric Beltoise, MADE.COM; Sophie Bonnier, CITEO; Philippe Bonningue, L’OREAL; Karima Boukouna, PHILIPS Health Systems France; Bruno Garnier, Groupe CARREFOUR; Guillaume Lebert, PROCTER & GAMBLE; Françoise Lochet, LABORATOIRES EXPANSCIENCE; Corinne Mercadie, AMC - Groupe CASINO; David Ozenne, CHARAL; David Petit, HERMES; Jean-Luc Poirier, MARS PETCARE FRANCE and Arnaud Rolland, COCA COLA ENTREPRISE. More information about the Pack Experts' Committee.